"Drashti has all chances to reach the top and win Jhalak"
The gorgeous and talented Drashti Dhami famously known as Madhu of Saurabh Tiwari's Nautanki Films popular daily soap Madhubala:Ek Ishq Ek Junoon on Colors, will soon be seen in the popular dance reality show Jhalak Dikhla Jaa this year in season 6. We got in touch with her sister in law Suhasi Dhami who is currently seen in Housewife Hai... Saab Jaanti Hai on Zee TV and also had been a part of the dance reality show Nach Baliye 5 along with her husband a.k.a Drashti's brother Jaisheel Dhami, on how excited she is to see Drashti Dhami participating in a dance reality show. She sounded happy as she said, "Dance reality shows are always good to be a part of and I am very excited to see Drashti on Jhalak Dikhla Jaa - Dancing with the superstars. It has been a good year for us as a family... after our Nach Baliye 5 it is Drashti who will now be seen in a dance reality show." She further added, "Drashti is a fabulous dancer and also is very energetic. I feel she has all chances to reach the top and win. My good luck and wishes are always with her." For the voting procedure she said, "We have our own network for voting now, and we will surely try to do much more for Drashti than what we did for us. Apart from that her performance will speak for her and also she has a great fan following as people love her as Madhubala." Zoya of Qubool Hai, Anandi of Balika Vadhu to Madhu of Madhubala who is the Small Screen Queen? Mumbai: Small screen actors are not less popular than B-Town hotties, some of the daily soap actors have tremendous popularity among the viewers. Sanaya Irani, Jennifer Winget Grover, Surbhi Jyoti, Drashti Dhami, Pratyusha Banerjee, Sonarika Bhadauria, Asha Negi and Kritika Kamra are the sizzling beauty of Indian Television. Drashti Dhami who played bubbly Dr. Muskaan Chadda in Dill Mill Gayye, her next serial Geet Hui Sabse Parayi was hugely popular among the viewers. Now she plays Madhu in Madhubala-Ek Ishq Ek Junoon on Colors. Madhu's popularity is increasing day by day. People are loving her for beauty and acting skills as well. No doubt, these small screen actors can give a strong competition to Bollywood's beauty brigade at the graph of popularity. The Indian Telly Awards, like last year, will be hosted by Ram Kapoor and Ronit Roy. The awards’ programme will handpick winners selected by the junta, who are voting diligently for their favourite actor, TV show, favourite fresh face, best crime show, fave child actor and so on. Madhubala - Ek Ishq Ek Junoon | 'Chora Chori' to play 'prem game'? 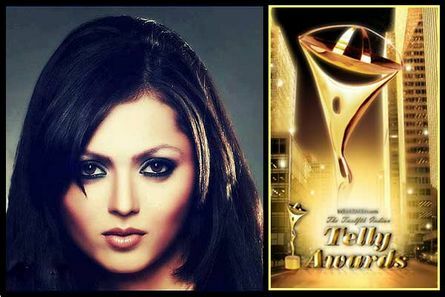 ellychakkar.com brings you the nominees for the Best Actress in a Lead Role category at The Twelfth Indian Telly Awards and we begin with the very beautiful and talented Drashti Dhami aka Madhubala from Colors’ Madhubala - Ek Ishq Ek Junoon (Nautanki Telefilms). Before entering the television world, Drashti has done many advertisements and was known for her modeling. She debuted as Dr Muskaan in Dill Mill Gayye. Later she got her big break with Star One's Geet - Hui Sabse Parayi opposite Gurmeet Choudhary. The role brought her both acknowledgment and she gained immense popularity. And currently she is seen in Madhubala - Ek Ishq Ek Junoon opposite Vivian Dsena aka RK. The lovely lass is kicked about her nomination for Madhubala. She continued, “If not me than I would want my dear friend Sanaya (Irani) to win the award. Currently she is one of the leading actresses in the television industry and was brilliant in her earlier show (Iss Pyaar Ko Kya Naam Doon),” she ended. May you hold the golden trophy, Drashti!!! A few years ago, every second show on Indian Television would be called a dramatic show but that’s not the case anymore. There are a few selected shows that are dramatic in true sense with the right blend of emotions. 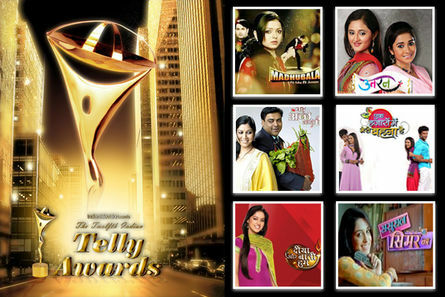 Accordingly, the Twelfth Indian Telly Awards has nominated a few of them. 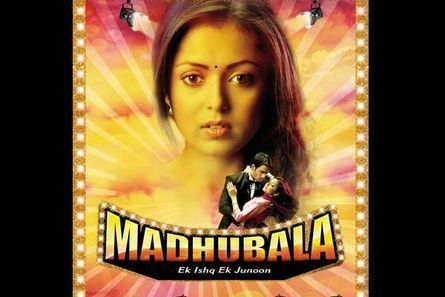 Next on our list is the very filmy and dramatic Colors’ Madhubala - Ek Ishq Ek Junoon (Nautanki Telefilms). This particular story started with guns and goons and a film studio. Hence, there is no question of it being even an inch away from the word drama. Saraswatichandra, Qubool Hai or Madhubala-Ek Ishq Ek Junoon, which is the best show on TV currently? Year 2013 has seen TV screen being ruled by number of new and old shows. Currently the masses are all gaga over shows like Star Plus’ Gautam Rode and Jennifer Winget starrer Saraswatichandra, Zee TV’s Qubool Hai; starring Karan Singh Grover and Surbhi Jyoti and Madhubala Ek Ishq Ek Junoon on that has Drashti Dhami and Vivian Dsena in the leads. All the shows are entertaining and full of masala, but which one is your favorite of all? Which show of 2013 do you think is the best? Of late, Colors' Madhubala (Nautanki Telefilms) has been experiencing some extremely dramatic sequences. And as per the latest information that we have got from the sets of this show, Madhu (Drashti Dhami) will get more dramatic in the coming days. Last, we had seen her jumping off the building to prove her love for RK (Vivian Dsena) and the next is that she will throw a grand party. As per a reliable source, all renowned people will be invited at the party and just to tweak this happy moment a bit, Madhu will also invite Sultan (Avinesh Rekhi). Unfortunately, a very happy party atmosphere will turn gloomy with Sultan's entry. As a matter of fact, RK will even get into a fight with Sultan. However, before all this, there will be a romantic dance sequence between Madhu and RK, yet again. We tried contacting Drashti and Avinesh; however, they remained unavailable for comment. Mumbai: The small screen has become a tough competitor of the silver screen with women in the lead. Here is the list of the leading ladies of the various soaps who have been nominated as the Best Actress in a Lead Role at the Twelfth Indian Telly Awards. Sakshi Tanwar aka Priya from Bade Achhe Lagte Hain is on the list, being a very talented actor has been nominated in the lead role. Madhu aka Drashti Dhami of Madhubala-Ek Ishq Ek Junoon is a part of the nominations because she has wooed the audience with her character of a bold wife and a polite bahu. Next 'bahu' is from the soap Sasural Simar Ka, Roli aka Avika Gor who has impressed the viewers with the prowess in her acting. Deepika Singh aka Sandhya from Dia Aur Baati Hum made her debut with this show and is doing wonders. Also, the show has got the maximum nominees this time with the sky touching TRP's. A happy Deepika was quoted, "Getting nominated for lead role is a very big thing for me. It is nothing but love of our fans. I am glad that Diya Aur Baati Hum is loved by masses. If I win or lose, it really doesn't matter because for me I am happy that my show is doing good. My award is my fans. I want viewers to keep loving us." Zoya aka Surbhi Joshi from Qubool Hai titled as the chatter-box on this popular show has also been nominated. Others nominees are Nidhi aka Kritika Karma Kuch To Log Kahenge, Jeevika aka Nia Sharma Ek Hazaaron Mein Meri Behna Hai, Khushi aka Sanaya Irani Iss Pyaar Ko Kya Naam Doon, Aarti aka Kratika Sengar Punar Vivah, Purivi Deshmukh aka Asha Negi Pavitra Rishta and Megha aka Akanksha Singh Na Bole Tum Na Maine Kuch Kaha. Now let's who among them wins the race to the Best Actress in a Lead Role at the event. 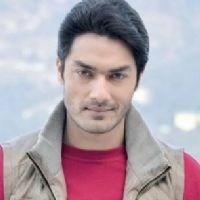 Madhubala:EIEJ "I will never tread the wrong path-Madhubala Shamsher Mallik"
TV actor Avinesh Rekhi is in no hurry to venture into films, but adds that if he gets an opportunity, he would like to do a comic role. Currently seen as gangster Sultan in Colors TV show "Madhubala - Ek Ishq Ek Junoon", he says right now he is honing his acting skills. "Big screen? My career has just started now, but I will grab all the opportunities. Rest depends on god when He gives me a chance to showcase my talent on the big screen," said Avinesh, who was earlier seen in Colors' thriller show "Chhal - Sheh Aur Maat". "Right now I am getting polished," he added. A couple of TV actors - Sushant Singh Rajput">Sushant Singh Rajput, Amit Sadh amd Hussain Kuwajerwala - have forayed into films. Sushant took his 'big screen' leap with "Kai Po Che! ", which also saw Amit Sadh making his mark on the big screen. Recently, Hussain Kuwajerwala, who has worked in the shows like "Kumkum", "Kyunkii Saas Bhi Kabhi Bahu Thi" and "Rishtey", makes his movie debut with sci-fi thriller "Shree". Asked what kind of films and genre interest him, Avinesh said: "I love the comedy genre and in that my favourite movie is 'Andaz Apna Apna'. In that film, I love Amar's character that was played by Aamir (Khan) and I would love to do such a character sometime. That's all a different thing." "Till now people have seen me in Sultan's character, who is angry and stern always. So to see me in a character like that (of Amar), would be different. But I am sure it would be very challenging for me also," he added. Mumbai: We know that fans love to talk about their favorite small screen actor, everyone wants to talk them over phone. We cannot provide you their number but can reveal their caller tunes. Here we are with big names of small screen along with their caller tune. Let's begin with our madam glycerin, confused? Popular actor Drashti Dhami aka Madhu, her caller tune is That's my name which is a beautiful song sung by Akcent and Edward Maya. Now fans of Madhubala, come on change your caller tune. Ankita Lokhande, who was seen as Archana in Pavitra Rishta on Zee TV, well has her caller tune from her boyfriend Sushant Singh Rajput's flick Kai Po Che and that is Kati Patang. Bubbly Zoya aka Surbhi Jyoti of one of the famous daily soap Qubool Hai has caller tune from the beautiful compositions of the early 70s 80s beyond Tum aa gaye ho noor aa gaya hai from Aandhi (1975). We are restless to reveal that his caller tune suits his personality, yes,,,, it's Challa from his first Punjabi flick Pure Punjabi. Ada Khan who plays Amrit in the show Amrit Manthan has caller tune Adaa from the flick Garam Masala really suits her name. Hmmm Ada,,,,,Uff,,, teri adaa. After the nominees of Best Actress in a Lead role, we bring you the nominees for the Best Actor in a Lead Role category at The Twelfth Indian Telly Awards. So let’s begin with the handsome hunk Vivian Dsena aka Rishabh Kundra (RK) from Colors’ Madhubala - Ek Ishq Ek Junoon (Nautanki Telefilms). 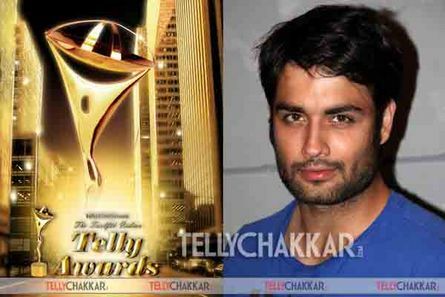 Vivian begin his career as an actor with a daily soap Kasamh Se, followed by a role in Ganga on Colors. And later he played the lead role of the vampire Abhay Raichand in Star One's Pyaar Kii Ye Ek Kahaani. The brawny and brainy talent gained immense popularity with his vampire avatar and emerged as one of the most leading actors in the world of Indian television. Currently he is spilling magic in Madhubala - Ek Ishq Ek Junoon opposite Drashti Dhami aka Madhu. It seems that Avinesh has a sixth sense for spirits. His second spooky experience was when he was returning from Shimla. Novelist Rudyard Kipling had written, "Nearly every other station (in India) owns a ghost. There are said to be two at Shimla,” in My Own True Ghost Story. Ghost hunters staunchly believe that Shimla doesn’t have just two but multiple ghosts lurking about giving it the tag of a ‘ghost town’.